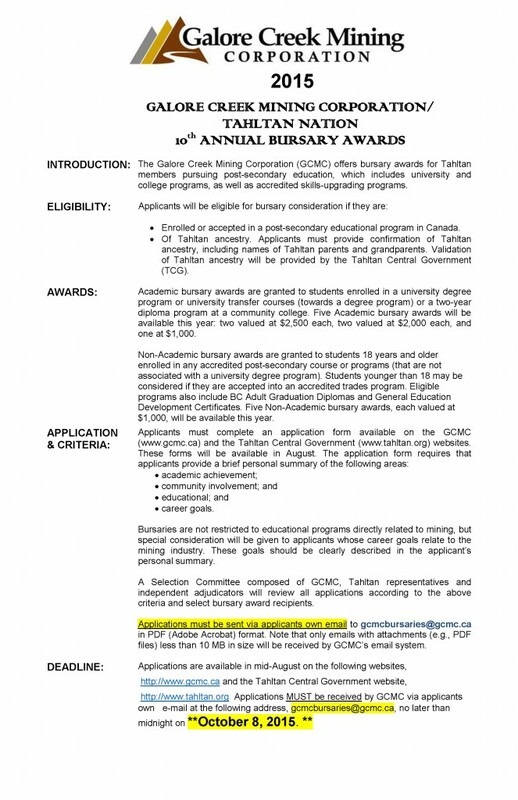 GCMC Annual Bursary Awards: Attention Tahltan Students! It’s that time of year again when Galore Creek Mining Corporation offers bursary awards for Tahltans pursuing post-secondary education. This year there are five academic bursary awards available, two valued at $2,500 each, two valued at $2,000 each, and one at $1,000. The deadline for application is October 8th, 2015. Make sure you read through the instructions carefully. Click here to download the bursary application form!